Which Classroom Layouts Work Best? The layout of the classroom—desks, storage, or tables—for a lesson is directly related to student learning. Will the classroom layout promote independent student work? Collaborative groups? Large teams? Most teacher evaluation systems also include the use of any available technology available, if appropriate to the lesson. The first consideration that a teacher should make in determining the layout of the classroom incorporate the principles of universal design as it applies to classroom layout. Using the principles of universal design means that classroom activities, materials, and equipment are physically accessible and usable by all students. These principles also mean that there is space available for all students and teachers to easily move and or negotiate throughout the classroom. The traditional classroom typically places students in desks that are in evenly spaced rows. 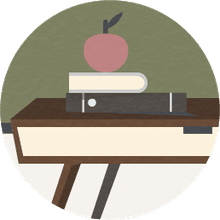 In most traditional classrooms, a teacher’s desk or table is located somewhere in front of the room. This layout is often the default room arrangement for teachers who share a classroom. The space between desks is enough to accommodate access and allows for the safe storage of student belongings. The benefits of this classroom layout are that rows are probably the best for controlling behavior, ensuring that there is space for the teacher to walk, to supervise, or to police. The layout of rows means the optimum number of desks can be packed into the room. The drawbacks to this arrangement are that the rows can stifle group work. Students at the front cannot see their fellow classmates behind them unless they contort their bodies. Those in the back only see the heads of their fellow classmates. The placement of the teacher at the front of the room overemphasizes the role of the educator, leaving students as secondary participants. Finally, the rows of desks create a maze of desks that can be an obstacle to the teacher engaging with every student. In a center aisle arrangement, the desks can be arranged in a manner to facilitate discussions, debates, and many other interactive classroom activities. In these arrangements, half of the class sits in rows to face the other half of the class separated by a center aisle. The desks face each other, placed in rows that are curved or set an angle. The benefits of this arrangement are that the students are looking and listening and contributing as they face each other. This arrangement of two sides with an aisle, like Congress, allows the teacher more access to students. The drawbacks to this variation are that students can distract each other. There may be visual problems if instructional materials are placed on one side of the class. A variation on the center aisle arrangement is the horseshoe. The horseshoe arrangement is exactly as described- the desks are arranged in a large "U" shape. In this arrangement, there is room for activity in the center of the "U" for teacher/student performances. The benefits of this seating arrangement include student discussion and interaction. The teacher can also easily observe all students quickly. This allows also for easy conferences or one on one help if needed. The drawbacks for the horseshoe are that all students are visibly exposed, and shy students may feel anxiety being part of one large group. In this arrangement, if some students are not willing to talk or participate, their silence may discourage others. No seating arrangement should force any members of a class to talk if they do not want to talk. 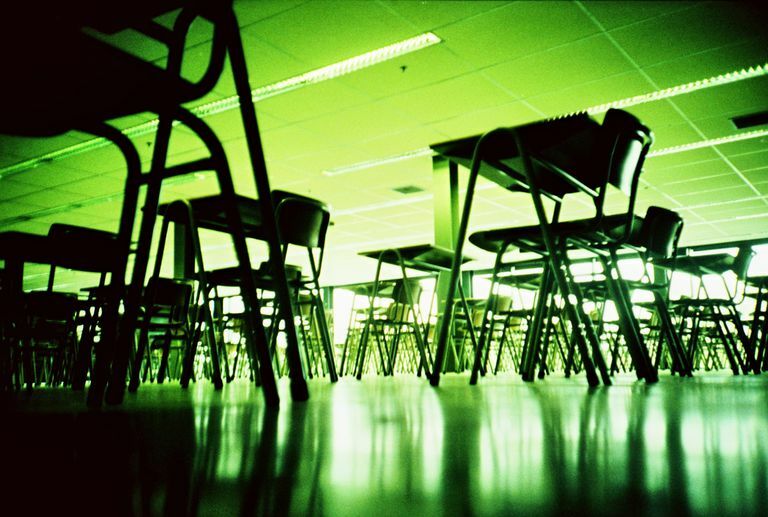 Some classrooms are not outfitted with desks and use tables instead. There may be a need to have students work with materials that cannot fit on their desks, or a need to have students work with shared materials. In these cases, a classroom layout with centers or stations may be the best option. The centers can be arranged on tables or other furniture around the periphery of the room. There may be desks still available in the center of the room for desk work. The benefits of this classroom layout are that the students should be independently able to complete the center activities on their own. This leaves the teacher free to circulate around the room to troubleshoot and/or observe. This arrangement creates small groups for students to interact, to confer with other students, and to practice expressing ideas to the larger group. This arrangement can help build relationships between students. The drawbacks to a center or station based classroom layout are that students must be trained to work cooperatively and collaboratively. Placing students into groups without explicit instruction or direction will impact their ability to work as a group. Because some students rely on the strongest student to interact with the class, the teacher may not be able to fully assess each student’s ability. The classroom layout with centers can be adapted into the cluster, which follows. The cluster arrangement is the easiest way to transition from any of the above arrangements into small clusters of desks that are suited for cooperative or collaborative work. Because so many high school classrooms are shared, the best a teacher can do to create their seating arrangement is to rearrange desks each time they enter the next classroom. Pushing four desks together creates a larger, even space for students to work together. Engaging students in creating the classroom layout at the beginning and returning it back at the end of class may be necessary and have the side benefit of giving them control over the environment. A cluster arrangement allows a teacher the opportunity to circulate quickly around the room. The same drawbacks that are seen with centers as a classroom layout can be found in the cluster arrangement of desks. Teachers need to closely supervise those students who have difficulty interacting with others. Different types of instruction will require different seating. Teachers should keep in mind that the arrangement of the classroom environment should match a lesson's objectives, both for students and teacher. Moreover, classroom arrangement is also a part of many teacher evaluation systems. Whenever possible, teachers should include students in creating the physical environment in order to create a classroom community where students are empowered.